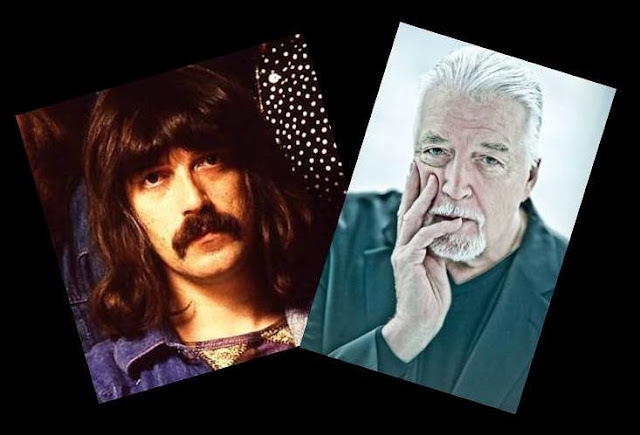 Jon Lord, founder of Deep Purple, died yesterday at age 71 of pancreatic cancer. He was the co-writer of “Smoke on the Water”. The version I’m posting here in tribute is from a live performance at the Albert Hall, together with the London Symphony Orchestra, in celebration of Deep Purple’s thirty years of shaping rock music world. This might not be to everyone’s taste. Might not be to hardly anyone’s taste, as a matter of fact, but I like it and it’s my blog, so there! Not quite a cover of Deep Purple’s 1972 song “Smoke on the Water”, but more or less so. For the purposes of comparison, you can see and hear Deep Purple performing it live at the Ontario Motor Speedway in Los Angeles in 1974 here. Back to today’s video, even if you don’t like it, I strongly suggest at least listening to the instrumental interludes at the beginning and again from about the 2:00 mark. And if someone can read the Japanese subtitles and tell me the name of the orchestra, please let me know in the comments so I can give proper credit.